An alternative proposal developed by some House Republicans will help fix Rhode Island's bridges without costly bonding or tolling. Over 23% of Rhode Island bridges are classified as structurally deficient! According to the Reason Foundation's most recent report, Rhode Island is ranked 47th for overall highway performance. 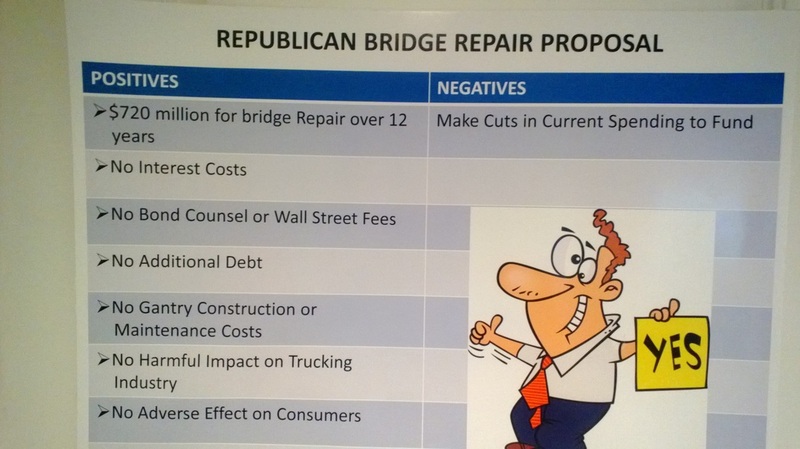 The Republican proposal calls for additional spending from current sources to fund bridge repair.